Prison Chick Magnet Jeremy Meeks Now Free on Parole. 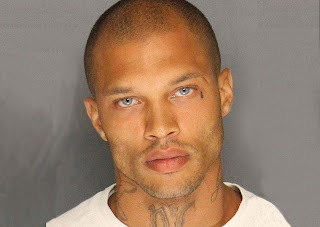 The Prison Chick Magnet Jeremy Meeks is now free from jail and already has jobs lined up. Jeremy made internet fame when his mugshot went viral and had throngs of women slobbing over him. Now that he is out, he gets to fulfill his modeling contract that he signed just before he got locked up.